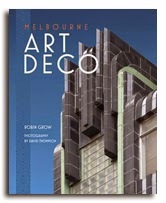 This modest Art Deco warehouse or factory building is in Plummer Street, Port Melbourne. 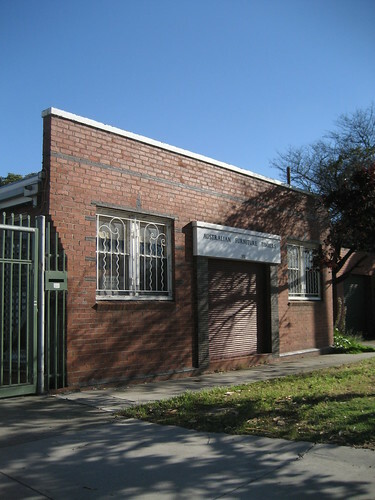 Note the band of thin, dark bricks across the front of the building. 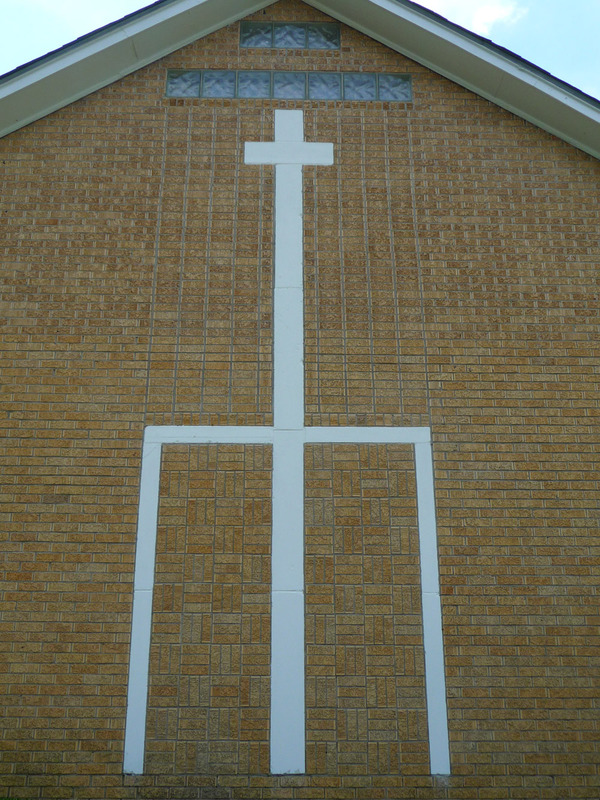 The same bricks are used as a border around the entrance and as decoration above and on each sides of the windows. 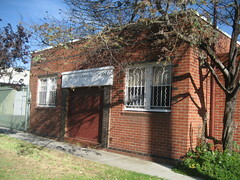 The lintel above the doorway carries the name of the business, Australian Furniture Timbers and the building is 'anchored' to the ground with a row of dark bricks angled to create a slopping ledge. 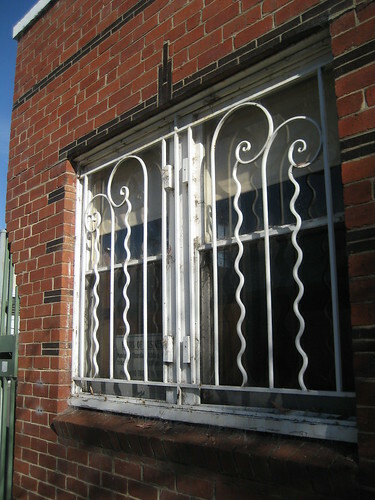 The decorative highlight, however, like the gate in yesterday's post, is the metalwork. In this case, the grills on the windows are stunning.